Washington-based company Del Bueno announced a recall for specific “Queso Fresco Casero” products because of a possible bacterial contamination. The recall was announced on the 16th of September. The problem was discovered after a routine sampling was done on the cheese. The state’s Department of Agriculture, which conducted the routine sampling, found that the result revealed the presence of the bacteria Listeria monocytogenes on the sampled cheese product. After being informed of the problem, the company started notifying its customers and has requested for its retailers to stop selling the product. Del Bueno is implementing the recall with the help of the FDA. 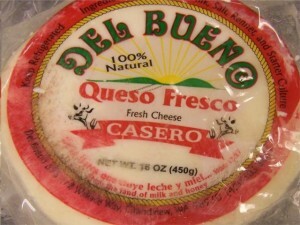 The recalled “Queso Fresco Casero” are packed in round transparent plastic packaging and have a net weight of 16 ounces. A date code of “Sept 14 2011” is stamped on the packaging’s back. The recalled cheese product has been distributed in retail shops in the areas of Washington, as well as at the state’s flea market, the Pasco. Listeria monocytogenes is a harmful bacteria and one of the most common food contaminants. This bacterium is the cause of Listeriosis, a kind of food poisoning that can possibly bring stillbirths or miscarriages in pregnant women. In people with weakened immune systems or those who already have existing medical conditions, Listeriosis can cause more serious health risks, which can lead to death. Customers who were able to buy the recalled cheese product are requested to return it to where they bought it and they will be given a refund. They may also call Del Bueno at 425-503-3823 (from 8 AM to 4 PM, PST) for any concerns they might have about the recall.